ABA Journal Blawg 100 - iPhone J.D. Every year, the ABA Journal looks at the 3,600 law-related blogs and prepares a list of their favorites. 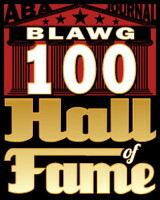 Yesterday, the ABA Journal announced the 6th Annual ABA Journal Blawg 100, and I was pleased to see that iPhone J.D. was on the list for the fourth year in a row. Click here to see this year's list in alphabetical order. 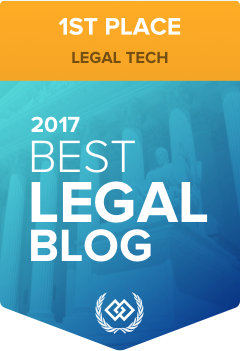 As always, this list is a fantastic resource for discovering new law-related blogs, so I guarantee that you'll find some great posts to read. The ABA Journal asks you to vote for your favorites among the 100 by going to this page. You have to register to vote (even if you registered last year), but it's quick and easy, and the requirement is there just to prevent one person from voting multiple times. Plus, that page actually provides a better way to explore the list of the 100 blogs because they are divided into 14 categories. I'd be honored if you voted for iPhone J.D. in the Legal Technology category. Some of my other favorites among this year's picks are the Jonathan Turley blog, Taxgirl, the always funny Lowering the Bar, Abnormal Use, and the definitive source for U.S. Supreme Court information SCOTUSblog.